Do you want your organization's apps to maintain a consistent look and feel? 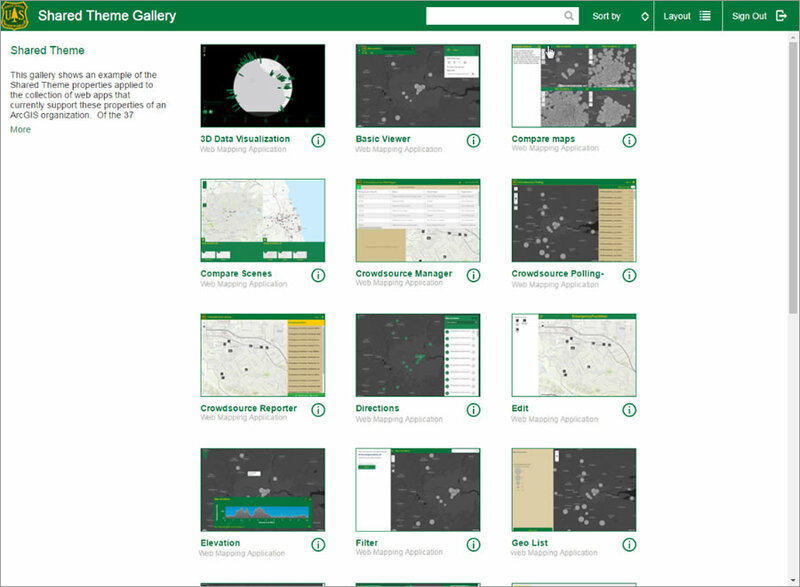 New administrative settings added in a recent update to ArcGIS Online give organizations the ability to create a consistent brand for all Esri web apps and several popular Esri Story Maps apps. 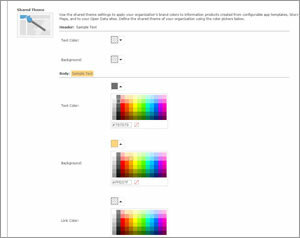 You can apply your organization's brand colors to web apps and some Esri Story Maps apps. Shared-theme properties let ArcGIS Online administrators set the colors for the header background and text; body background, text, and link; and button background and text, as well as a logo URL Once set, these become the default options for all new app items. While the shared theme capability may include properties that an individual app does not support, only the relevant properties will be applied to each web app. While it was previously possible to set each of these properties manually, it was tedious and time-consuming for users and required the administrator to train them to include the appropriate values for each property. Web app publishers can still override shared themes, but the values that the administrator sets are always presented as the defaults. Setting a shared theme only affects new apps and does not change apps that have been published. 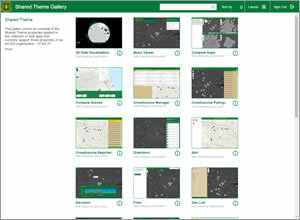 Shared themes can also be used for several of the most popular Esri Story Maps apps including Esri Story Map Journal, Esri Story Map Series, and Esri Story Map Basic. Logo support only is available for Esri Story Map Cascade and Esri Story Map Shortlist via the builder's settings. Esri Story Map Tour, Esri Story Map Swipe, Esri Story Map Spyglass, and Esri Story Map Crowdsource apps do not support shared themes. An organization applied shared theme properties to a collection of web apps. After setting shared themes, the theme colors and logo are automatically applied to new maps when the builder is launched. Existing maps and maps in which you want to apply only the colors or the logo must be configured independently. Branding functionality is available for organizations developing apps using the Developer Edition of Web AppBuilder for ArcGIS themes. A Web AppBuilder for ArcGIS theme is a collection of user interface elements that define an app's look and feel, layout, navigation, and functional user interface (UI) items such as scale bar and overview map. The theme controls the app's interface, interactive user experience, and branding style. 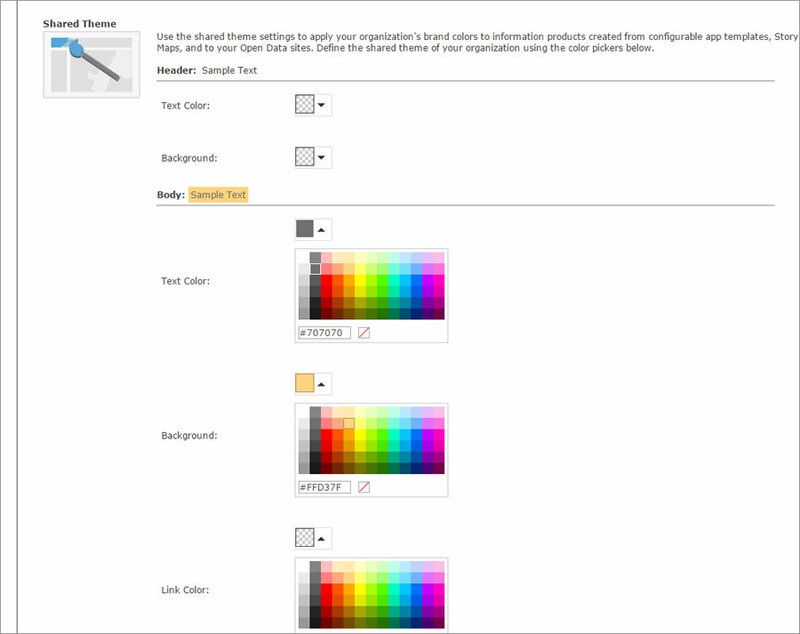 Theme elements include widget panels, style sheets, layout definitions, and theme widgets. Using shared themes in ArcGIS Online and Web AppBuilder for ArcGIS will help you maintain a branded and polished look for your organization's apps—and save time, too!